Have you ever had a Caesar or Bloody Mary cocktail before? Caesar’s were my absolute favourite drink growing up- the virgin, non-alcoholic kind, mind you! It was a rare occasion when my family wouldn’t have a few supersized bottles of Mott’s Clamato in our pantry. If our stock ran out, my sister and I would often fight over who got the last glass. Or, we’d drink so much that my dad would go to make himself a glass and there would be none left for him. 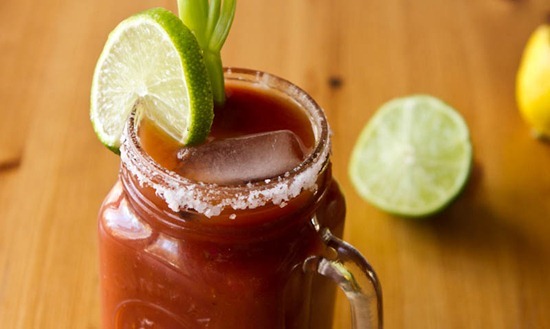 We’d pour a huge, celery-salt rimmed glass of Clamato juice, add in some Worcestershire sauce, ice, a few drops of Tabasco, and a stalk of celery. Nothing was better. Admittedly, I always thought a Bloody Mary was simply a virgin Caesar with vodka added to it; however, I recently discovered that Caesar’s and Bloody Mary’s are two different drinks. 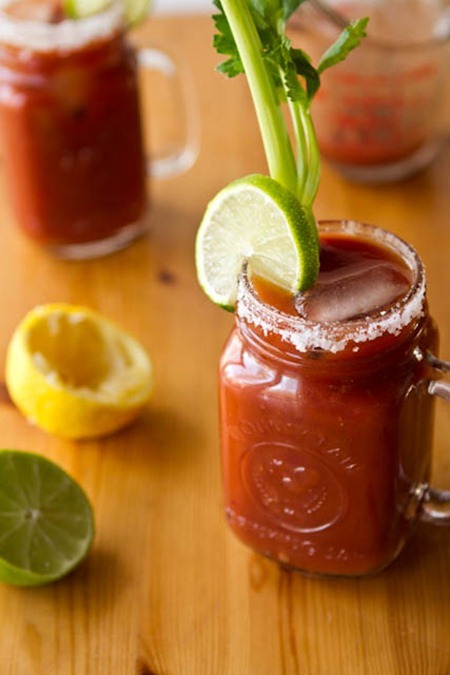 A Bloody Mary is a cocktail that uses tomato juice as the base and includes other ingredients such as vodka, celery salt, Worcestershire sauce, horseradish, olive, cayenne pepper/Tabasco sauce, lemon juice, and occasionally even bouillon. Sometimes instead of celery it’s garnished with pickled asparagus or other vegetables. The origin of the drink is unclear and there is dispute over who created it, although many speculate the drink came from the US (1). 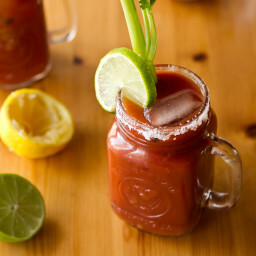 A Caesar cocktail, on the other hand, is made up with a base of clam and tomato juice (think Clamato juice), containing similar ingredients like Tabasco sauce, Worcestershire sauce, vodka, celery, and a celery-salt rimmed glass. It’s said to originate from Calgary, Alberta in 1969 (2). Walter Chell created the drink for the opening of his new restaurant in Calgary (3). As you can see, the two drinks are strikingly similar, save for a different base, a few seasonings, and traditional garnishes. When people ask me what foods were the most difficult to give up when I went vegan, many are surprised when I say “Clamato Juice”. But it’s true! I used to drink this stuff like water and it only occurred to me recently that I should try making my own vegan-friendly version at home. My mission started rather abruptly, with a V8 explosion. I opened this bottle a couple months ago, forgot it in the back of the fridge, and was rewarded with this little mess when I opened it. Needless to say, I did not use this sour V8 in my cocktail! The smell of it would make your nose hairs curl. It was just awful. Enter, new, unopened vegetable juice. Using this Homemade Bloody Mary recipe from Kristina as a guide, I dumped the juice in a bowl and added the ingredients all to taste. I suggest you do the same. You may prefer more or less of the seasonings I used. When it tastes good to you, it’s done! After tasting and testing and adjusting the seasonings (feel free to pretend you’re a crazy cool Mixologist), it wasn’t long before I decided that my drink was perfect. I also added a pinch of kelp granules to give it a hint of the sea, without the clams. Is this a vegan version of a Caesar cocktail or is it an adapted version of the Bloody Mary? I can’t decide. Whatever you call it, this is one fantastic drink with a whopping 4 servings of vegetables per 500 ml glass. Be sure to add the seasonings to taste and you can’t go wrong. 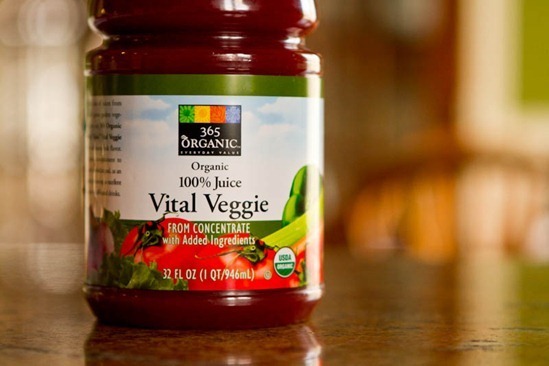 In a large bowl or pitcher, add the vegetable juice. 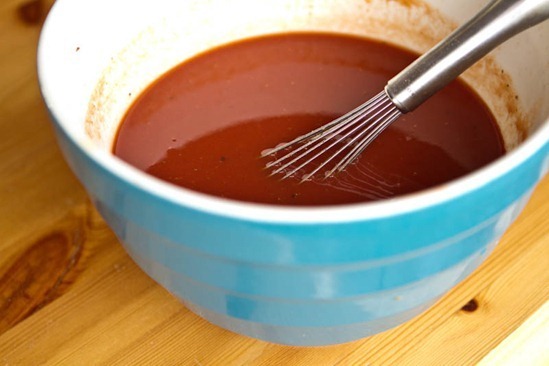 Now whisk in the rest of the ingredients all to taste. Grab two 500-ml glasses and rim the edge with a lime wedge. Now dip glass rim into a shallow bowl of celery salt. Pour drink into glasses and garnish with a lime wedge, celery stalk, and ice. Serve immediately. I didn’t have any celery salt on hand, so I used kosher salt. I wouldn’t really recommend it though, it was more for the photo than anything! After a tough workout yesterday, this was the best, thirst-quenching drink to happen to my taste buds in a long time! 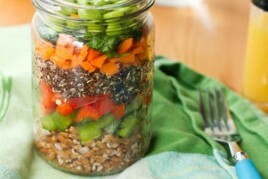 With 4 servings of vegetables per glass, it was also a great way to sneak veggies into my day with minimal effort. Wow, what a powerful drink!! Another great way to fit in a lot of veggies…the green drinks just got a bit nervous I think! JK Have a wonderful start to your week! I also used to LOVE caesars!! I’m so glad you posted this……. I need to make this ASAP! Bloody mary’s (nevere even heard of this Caesar thing!) are my favorite alcoholic drink, hands down. I’ve never made my own entirely from scratch though but I should because there’s nothing worse than a BAD bloody mary! Virgin bloody mary’s were such a treat when I was growing up! I can’t wait to try this! This sounds like it would really hit the spot right now! Sometimes nothing tastes better than veggie juice! Why not have that and a make it a little bit fancy too? Thank you for sharing! Never would have thought to pickle Okra! What’s it like? OMG…u have to try pickled okra!!! yum…u can find it in the pickle section most of the time if u dont want to make it homemade. This looks super delicious. 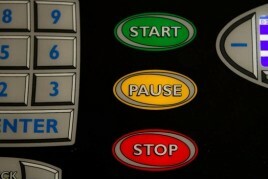 I would love to have one of these after a workout! 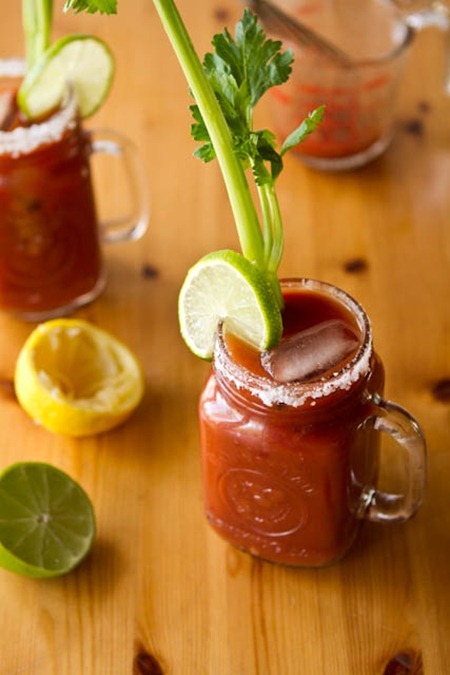 Last spring I tried my first Caesar and loved it – surprising because I do NOT like Bloodys. Great idea adding the kelp granules! I’ll have to make this for you next time you’re over! I have never heard of clamato juice or a caesar drink…. strange! But I’ve recently become a little obsessed with tomato juice and the ide of making a bloody mary although I haven’t attempted one just yet. This does sound delicious! I’m not even vegan and I love this. I like horseradish in my caesars. OMG, this is fabulous. As soon as the stores open tomorrow I will be buying some lemons and limes. I haven’t had a Caesar in over 20 years and my time has come. I’ve never had a drink anything like that! Looks awesome and very pretty! This is brilliant!!! Who couldn’t use more veggies, and in such a delicious (and sneaky) way!? Never had one but it sounds yummy! Sounds like a great marinade for tofu! I totally missed the point, right? Thanks so much for making the vegan caesar! Something I also missed. I think it’s a Canadian thing ;) Can you tell me where I might find kelp granules? I found them in Whole Foods in Arizona…sorry that’s probably not helpful. I’ve heard that they can be purchased in some natural food stores too. Oh my goodness! You’re brilliant, Angela. This looks sooo good. 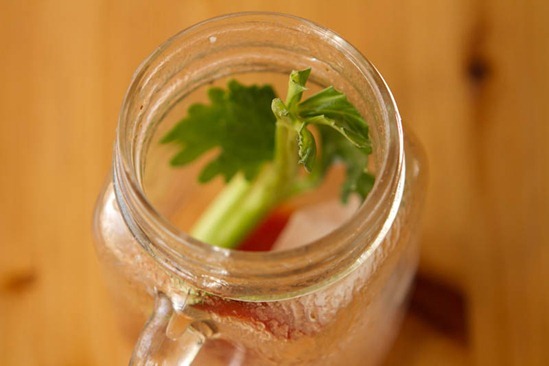 Caesars are my “go to” alcoholic drink … I’m not vegan, but this sounds great! Come to MOMMA!!!!! 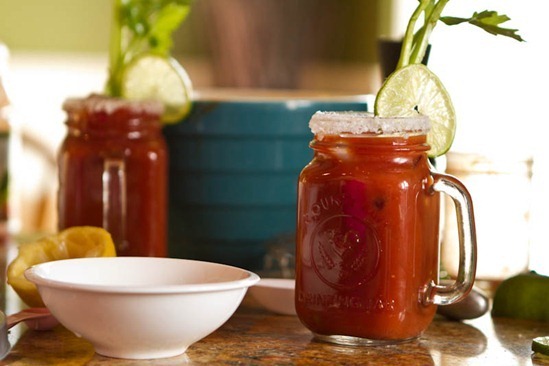 I love caesars too and could sip that right now…is 9am too early!? Dang!! Gorgeous pics and bravo for even continuing on with making this after the smell of the old V8 in the back of fridge…yikes, I can only imagine. When I was a bartender Caesar’s were the most popular brunch-time cocktail.Not many of our neighbors across the border have heard of Clamato juice so during the Expo ’86 days it was nice introducing them to this wonderful drink. Hey Cara, How’d you know that I was thinking of making a classic scone recipe? I will have to investigate Whole Foods next time Im there. I don’t think I’ve seen a vegan scone there, so I hope they have one! I was reading this and thinking, “Use the kelp granules!” Haha, you were way ahead of me. I always wondering what the heck that clamato juice was for–I’d see it my grandmother’s cabinet from time to time. She like bloody mary’s but maybe they were really caesars. 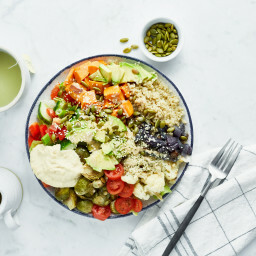 Not my cup of tea but a great vegan makeover for those who miss it! I LOVE Caesars! I had a Bloody Mary once in the States (they never heard of a Caesar) and hated it. Let us know what your Dad thinks. If he likes your version I’ll try it! I’ve never heard of a Caesar. I’m not a fan of Bloody Mary’s but maybe I’ll like this better. 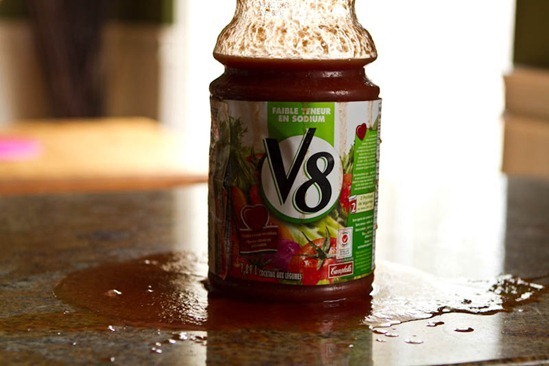 I had friends in high school who would drink V8 and beer. Yuck! I have never been a fan of Bloody Mary’s or heard of clamato juice. I guess I have always seen pureed tomatoes and/or tomato juice as the base for tomato soup. Darn all of those grilled cheese and tomato soup lunches as a kid! So glad you liked the recipe and I love your photos of it and the tweaks you made. Have you seen Japanese seaweed salt? That might be a good option too (besides the kelp granules). Thanks Kristina! I haven’t tried Japanese seaweed salt but it sounds interesting! I’ll have to keep an eye out for it. oooo delicious!! 4 servings of veggies?? awesome! hah too funny! That’s happened to me before too in the US. thank you thank you for this post! the story you wrote about your sister and your dad could have been me growing up! my sister and i also used to drink clamato juice like water, and yup, drinking caesars is the thing i miss the most after going vegan (as strange as that sounds to others, especially non-canadians). i’d recommend using Frank’s for the hot sauce and a little bit of pickle juice. 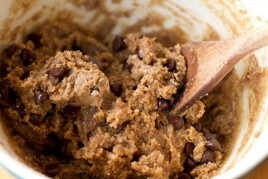 yum, can’t wait to make this! you’re a legend! pickle juice? Somehow I think you are a genius! This looks so delicious. I have been wanting to make bloody marys at home with fresh tomatoes and my juicer and I keep forgetting about it, then I had a delicious bloody mary at brunch yesterday and my obsession was reignited. For me, I really love the idea of balancing out vodka with an ungodly amount of vegetables. That’s a guilt-free cocktail if there ever was one. Yummy!! I’ve never heard of a Ceasar, but I LOVE Bloody Mary’s. I must try a Ceasar!! Caesars are my favourite too! They are sooooo good! Extra spicy, and with a little Dijon mustard! Thank you for this recipe! I actually discovered that I’m allergic to clams, so I can’t have Clamato juice anymore either. I can’t wait to try this recipe! It will be the perfect refresher in the summer! Hello! I recently cut out dairy, meat and eggs and can’t believe how good I feel and am slowly learning what to eat. It’s definately a learning process! I wanted to try your vegan chocolate chip cookies but am unsure of what to buy for chocolate chips…all the dark chocolate ones I look at have some type of dairy in them. Sorry to be off-topic…I’ve really been enjoying your site so thought I’d start here! Thank you! I find that many “dark” chocolate chips are vegan. You can also use semi-sweet chips quite often too…just be sure to check the label. Thank you so much for getting back to me! Sorry to be so naive…but the dark and semi-sweet chips I looked at have cocoa butter and milk fat I think is what it said…I just saw butter/milk and instantly thought dairy…I’m trying to stay away from any dairy. Maybe I’m misunderstanding the ingredients? Is there a brand name that you buy? I’m from Michigan so not sure we would have the same brands? Wonderful! Will be fun to try this. Spicy Caesars are hands-down my favourite cocktail – if you don’t count red wine, of course. I wish I liked ceasers but I can’t stomach them :( My mom on the other hand, loves them! Fresh and comforting at the same time. 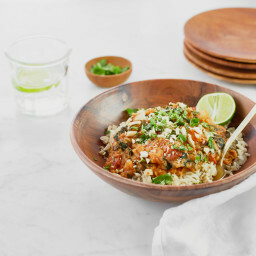 Yum…btw – your food styling is excellent! I never knew the difference between the drinks…see you learn something new every day! I’m gonna get on to making this stat. Never tried either a bloody mary or a caesar, but I’ll have to give your version a try! What a fun new drink to learn about-and so healthy too!! 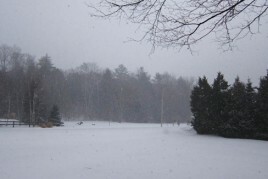 Thanks for sharing, and the pictures are beautiful. A vegetarian Bloody Mary is my favourite summertime cocktail. I call it the Bloody Katie and I use a tonne of horseradish in it, lots of lime juice, and celery salt both in the drink and on the rim. I love it with a shot of vodka and a spicy pickled green bean! What a great recipe! 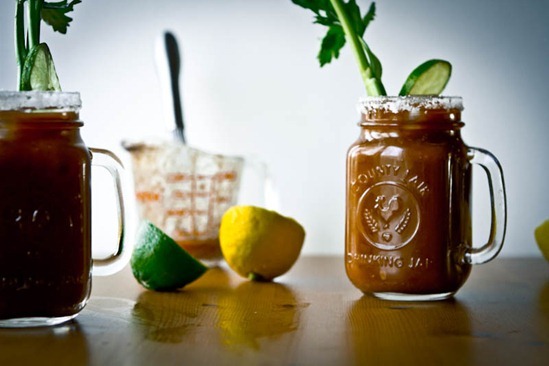 I never made a Vegan Cesar or a Bloody Mary, and I know my husband would love me to make one. It’s one of his favorite drinks, yet were lucky if we have it more the once every few years!! Question–how long do you think this would keep in the fridge? I’ve never made my own bloodys, but I am wondering if I could keep it in the fridge overnight? I found they were best consumed immediately. They tend to taste less fresh the next day…but still enjoyable. mmmm, you don’t know how much I want a caesar now! Can’t wait to make this for myself! As always, you rock Ang! I’ve gotta say – I’ve never heard a vegan say that giving up clam juice was the hardest. And I thought hearing people say “honey” was odd- cheese is what I hear most often! I’ve never heard the term’ Caesar” for a drink before. This sounds so good though- I looove bloody marys. There’s a restaurant near me that makes a version with tequila and has old bay around the rim (well, around here people put old bay on everything)- and that is my favorite. haha well I would say yogurt was the hardest for me. I didn’t eat tons of cheese before so it wasn’t super hard. But yea clam juice isup there…how weird am I? OH be still my beating heart. SERIOUSLY. CAesers are my DRANK!!! THANK YOU!! Oh my, now you have me craving a ceaser and it’s not even lunch time yet! Definitely my favourite drink. I rim the glass with season salt and it’s soo good. Wow, sounds amazing! Love Bloody Mary’s, never heard of a Caesar but may have to try this delicious sounding version! I loove bloody mary’s… there is a restaurant called The Flying Biscuit (small chain in the US Southeast) that makes theirs with sake AND pickled okra mm.. But all this brunchy goodness started making me thing… what about a homemade vegan cream cheese? maybe cashew cream with some lemon? Mine will definitely include vodka! looks delicious, thanks for sharing! I just learned what a caesar was last month — so funny you posted this! this looks amazing. while I’m not vegan, i’m always looking for variations of my beloved caesar. and I didn’t know they were a Canadian thing until recently, when I was talking to an American and they looked at me like I was a nut job! You’ve been such an inspiration to me! Though I don’t know that I’ll try the Caesar anytime soon (i’m not a huge van of tomato juice!) your blog and your journey has been a catalyst for me. I wrote my first post this evening. I think the mason jar mugs are also part of what differentiates a caesar from a bloody mary, it just doesn’t taste right without them! These were also very prominent throughout my childhood, although when we were younger, my sister and I called them pickle juice, because it was just about the only time we saw dill pickles (spears not slices) in the house! hahah happy to help!! I know all about that craving too! How long do you think these have a shelf life for? My husband will go nuts if i tell him there is a healthy option for caesars! I was thinking of making a couple batches and having them in the fridge.. you say serve immediately so I wasn’t sure if perhaps they wouldn’t sit for too long? thanks! Hey Kellie, To be honest, I’m not really sure about shelf life! I’ve always drank them right away. I imagine they would hold up for a half a day probably? Not totally sure though! Let me know if you try it out. My guess is that they would need a good stir after sitting. Cannot wait to try this recipe!! Thank you for sharing. Sounds delish! Hey Angela! I have to agree with all the comments- this looks delicious! Who couldn’t use more veggies, and this is such a creative way! Yummy – looking forward to trying this this summer! Can nvr understand u people that go vegan-for what ever the reason-but will continue to kill ur brain cells w/alcohol!! Doesnt make sence! This drink would still b perfectly lovely w/out the booze! You missed the point of this article. Nothing about it advocated alcoholism. Its an alternative recipe to a traditional Caesar. 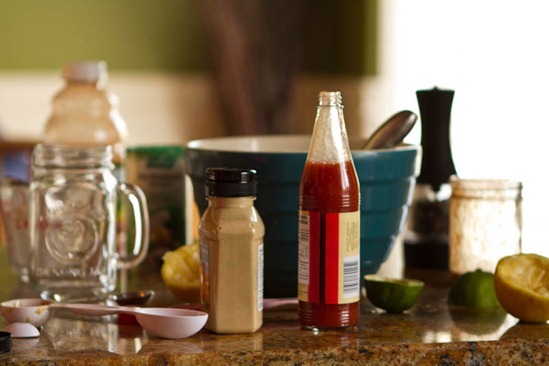 It can be used for a variety of dishes besides mixing alcoholic drinks. Everything in moderation is fine. Anyways, I am not Vegan but Vegetarian. I used to drink this stuff like water as a kid since my mom and dad kept plenty in the fridge. So glad I stumbled upon this, its delicious and better than the regular! I like mine spicy so I added biona organic hot sauce. Thanks so much! i have an addiction to Bloody Caesar (every Friday night had to have it), but since I decided to be a vegan, I was really sad I couldn’t drink my favorite drink…You saved my Friday nights! can’t wait to try it! too bad I hadn’t seen your recipe before today! OHMYGOSH! Caesars have been my secret little cheat that I feel terrible about and I didn’t even think I could make them vegan. Thank you so much for this! So excited to try them!! Definetly gonna try with the dijon! Have bean all the way around to find a nice vegan bloody caesar recipe but always find it too much bloody mary-ish. I also like to add pickle juice and he Extreme Beans (pickle beans with garlic)! I will definitely try with the okra! Worcestershire sauce isn’t vegan it has anchovies in it.